Check other local Patch websites, they regularly have multiple postings. The Legislative Aide will be responsible for supporting activities in the office of the Representative, including scheduling; conducting policy research; attending legislative committee meetings; briefing and advising the Representative on policy issues; researching and preparing press releases; creating and managing databases; meeting with constituents, school groups, lobbyists and others; developing communication materials and other tasks as necessary. 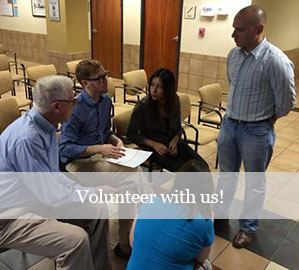 Nonprofit consumer health advocacy organization has an immediate opening. The Consumer Education Specialist will serve as a conduit between health care consumers in Georgia and GHF’s policy-oriented staff and coalition partners, working directly with consumers to provide assistance and referrals while also identifying themes and trends to inform community outreach, education, and policy work. Qualifications: Bachelor’s degree in public policy, public health, or other relevant field, 1-3 years relevant experience with community outreach or consumer assistance, knowledge of public and private health insurance, excellent written and oral communications skills. This is a full-time position. To apply: Please send your resume and cover letter to hr@healthyfuturega.org by January 8, 2014. Please put the words “consumer education specialist” in the subject line. No phone calls, please. The YELLS Mentoring Program is sponsored by Youth Empowerment through Learning, Leading, and Serving, Inc. Our Service Learning model is rooted in youth voice and allows youth to rise as the leaders of their communities. YELLS matches high school “Bigs” one-on-one with elementary school “Littles.” YELLS empowers Bigs with interactive leadership workshops, which they put into practice by redelivering workshops to their Littles and designing youth-led service initiatives to better their communities. The YELLS Afterschool Program is sponsored by Youth Empowerment through Learning, Leading, and Serving, Inc. We provide a safe haven for youth (K – 5th grade) in the students’ own Franklin Road neighborhood, while empowering them with the skills, resources, and character they need to serve as effective leaders and members of their community. Tapestri’s Domestic Violence program is seeking volunteers/interns to help with administrative and direct services tasks. If you can dedicate 10-20 hours per week to help our DV program needs please contact Limia at limia@tapestri.org or Yamile yamile@tapestri.org.